We always hear about the hunt for life on other planets, could life theoretically exist on a planet's moon? Chris Smith put this question from listener Sarah to planetary geologist David Rothery from the Open University. Plus animal behaviour expert, Jacob Dunn, had another question for David. David - Well, in this solar system, Sarah, moons are probably the best place to go looking for life. You shouldn’t restrict your imagination of where life can exist to the surface of a body with a blanket of air like planet Earth. We think life on Earth began at the interface between warm rock and salty water - the floors of the oceans. And we have at least two moons, one of Jupiter and one of Saturn, where we’ve got oceans sitting on top of tardily heated rock with a possibility of chemical reactions between the water and the rock, and that’s the setting where life could exist today. If you took the right microbes from the Earth and put them under the ice on Europa and Enceladus, life could hang on there - it could exists. So, the question is did life ever get started there on it’s own, and that’s what we don’t know. But we know from the recent Cassini mission to Saturn that flew through the plumes from Enceladus where the ice is jetted to space. It’s got all the ingredients; it’s got organic molecules; tiny rock particles; molecular hydrogen, there is a metabolic pathway feasible on the floor of Enceladus’ ocean. So yes, life in the internal oceans of moons, very much a thing to look for. Jacob - This is probably a naive question, but would we know what we were looking for? Would we know what life looked like? David - Well, life is anything that will reproduce, to undergo a Darwinian evolution, and piggyback on chemical reactions. If we can see an atmosphere or ocean chemistry that’s kept out of equilibrium we tend to suspect that it’s because of living processes. But difficult, I agree. Jacob - I just wonder if we might see some of the sort of early reactions that aren’t life per se, but maybe they kind of precursor of what we know? Chris - That’s a good question. Can we get clues as to how life got started on Earth in these places? David - The fact is there are so many organic molecules around in the cosmos which are not the products of life, but you’ve got simple amino acids which exist already. So if you want to find something that says “life did this”, you’ve got to look for more and more complex molecules. I think we need to see the chemistry in action. And I guess if we ever do find what might be a biosphere, pinning down whether it’s due to living processes or something that’s not quite living might be difficult. Chris - So Sarah, the bottom line is that these moons could play home to life, it’s just where or not it’s got started yet. Previous Do animals have different vocal ranges? Next Why do my Wellies feel heavier in water? 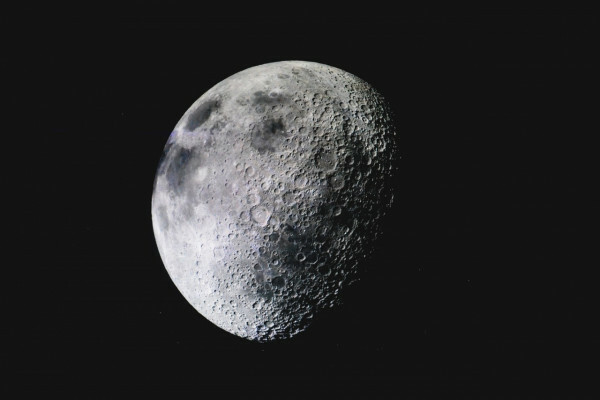 Can we terraform the moon?